Visit the Registrar's website for a full listing of dates and deadlines. Congratulations to the graduating Philosophy students! The spring 2018 convocation for the College of Social and Behavioral Sciences will be held on Thursday, May 10, 2018, 6-8:30 pm in the McKale Center. Summer 2018 PHIL Classes are OPEN for Registration! Summer PHIL classes are now available for registration! 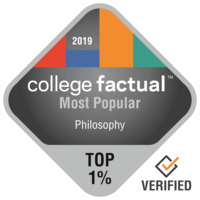 The following Philosophy classes are available ONLINE over the Summer. Take this opportunity to get ahead on your required units. Many of them fulfill Tier I & II General Education requirements. Congratulations to Lana Baeumlisberger for receiving the 2018 Kathryn A. Governal Perseverance Award for the Philosophy department. The recent Guardian article, I work therefore I am: Why businesses are hiring philosophers, discusses the importance of philosophers in contemporary businesses. Philosophers can help guide businesses beyond short-term profitability to long-term sustainable practices. Read more here. Summer enrollment opens for all students on Monday March 26th. There are no enrollment appointments for the summer session. To see all the classes offered over the summer please visit the Schedule of Classes here. Congratulations to philosophy graduate student Bryan Chambliss for receiving the Herbert E. Carter Travel Award. The Graduate Interdisciplinary Programs (GIDP) Administration Office and GIDP Advisory Council awarded Bryan the Carter Travel Award to support his upcoming participation in the American Philosophical Association Meeting.